On Saturday 12th November, CREATe staff joined university colleagues to bring a range of social science research to visitors at Glasgow’s famous Barrowlands (Barras) market. As part of the ESRC Festival of Social Sciences, the Barras Social was a day of exhibitions, games, music and family activities designed to show how research affects the public – and to allow visitors to interact directly with researchers. The university’s stalls could be found among the regular stalls in the indoor area of the market. CREATe was housed in a former blinds stall. 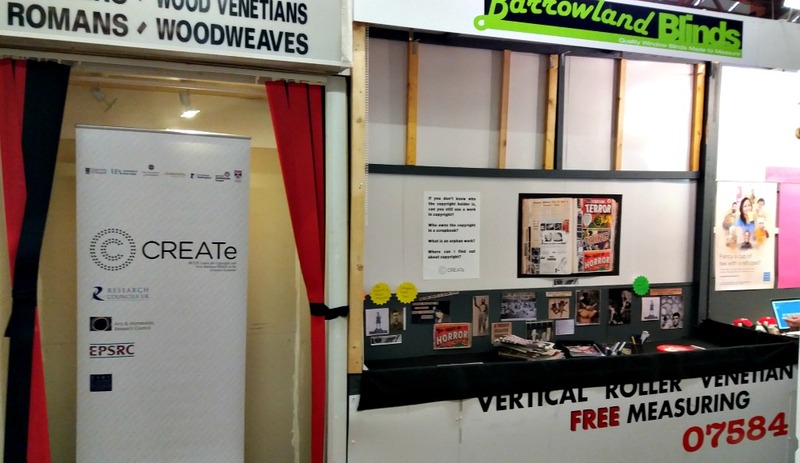 CREATe stall at the Glasgow’s famous Barrowlands (Barras) market. If you don’t know who the copyright holder is, can you still use a work in copyright? Who owns the copyright in a scrapbook? Edwin Morgan lived in Glasgow throughout his life and much of his poetry (and scrapbooks) refer to the city. Visitors were able to make their own scrapbooks to display or take away, creating their own unique works using contemporary printed material, like Morgan did, or using copies of cuttings from the Scrapbooks. The stall was also included on a question trail around the market. 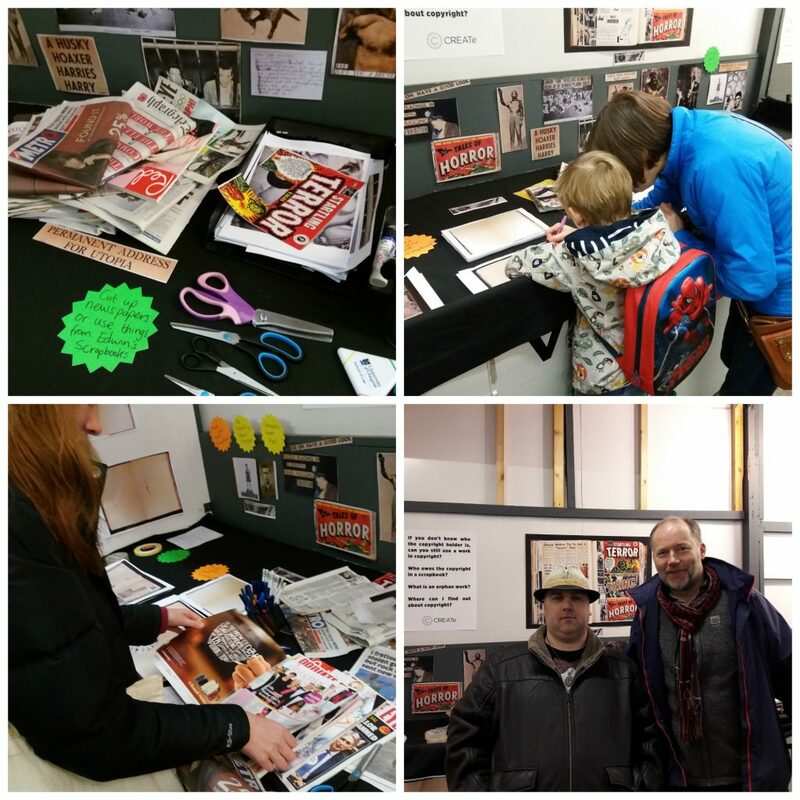 Visitors were encouraged to make their own scrapbook pages at the CREATe stall. The event provided an interesting opportunity to present academic work in a non-academic manner and our stall proved to be a good starting point to talk generally about copyright and to provide information on Copyright User.